Create a Bird Book, add a bird feeder to your garden and give the kids a set of binoculars - even cardboard tubes will do! Check out this cute bird feeder you can make at home and hang from a tree. 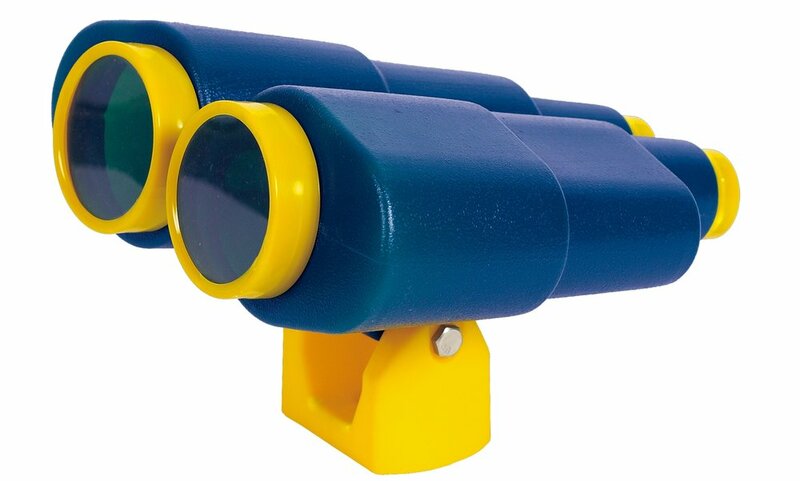 These sturdy binoculars would be great to attach to a playhouse or tree house! 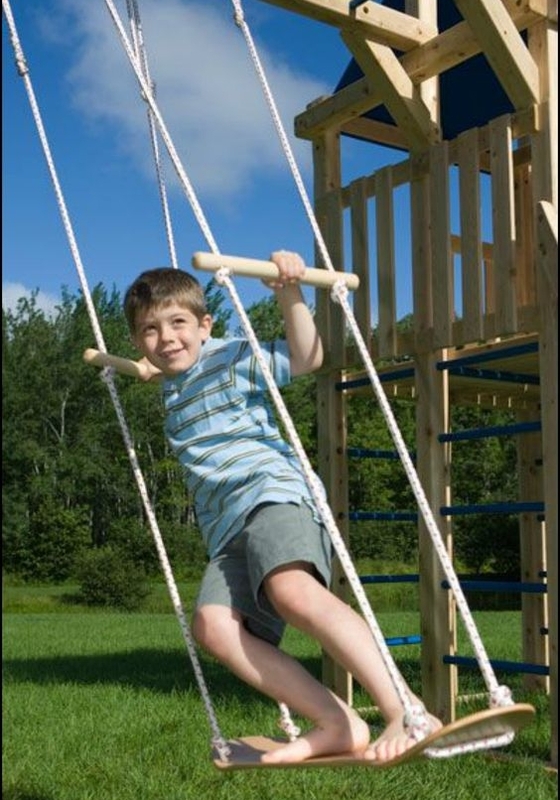 Is there anything more fun as a kid than swinging? Find a tree, grab a rope and hook up a swing! Use an old tyre, a sturdy stick to stand on or check out this amazing Skateboard Swing! Here are some swing attachments you can add to your swing! Mud or sand, some water and old kitchen utensils... that's really all you need to create an outdoor kitchen. Let the kids get messy and creative making good old mud pies. You only need a small corner of your garden to create a whimsical fairy garden. Think, cut logs as small stools, wind chimes, ribbons, coloured pebbles, tiny fairy and mushroom statue/ornaments. A simple way to turn your garden into a kid zone for a day... is to create a Teddy Bear's Picnic. Gather soft toys, a picnic blanket and a cute picnic or tea set for hours of play and imagination. 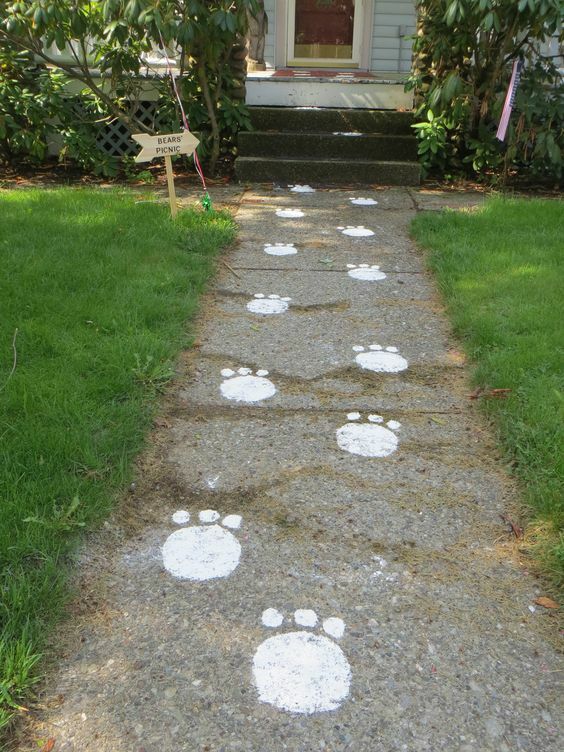 Use flour or powder to create teddy bear footprints for some extra magic! If you don't own a tent, why no throw a tarp over a rope between two branches or over the top of your net trampoline! Kids love having a place to hide out and snuggle into. It doesn't have to be sophisticated, they can camp during the day then head back inside at night. 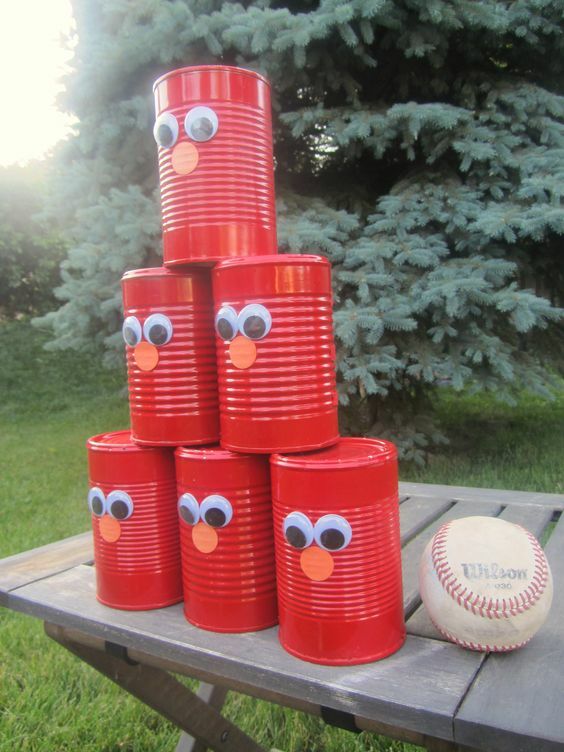 When the kids are saying “I'm bored!” then why not try one of these DIY backyard games! 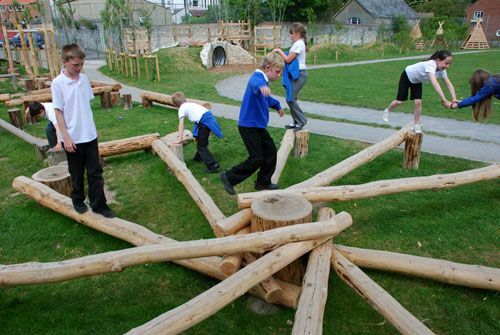 If you've built a tree house, why not add a climbing wall or cargo net to get to it? Making the experience that bit more exciting means the treehouse wont sit there unused by the kids. Here are two items we've found to add to your tree house! A really fun activity is to forage for branches, sticks, palm fronds and make your own bivouac or teepee out of sticks. 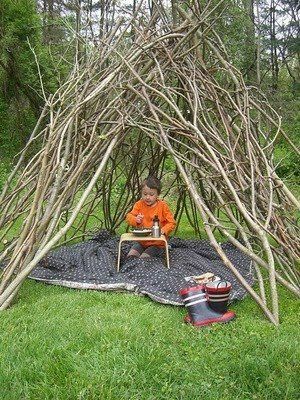 Use vines to tie the sticks together and create a little hide-out for the kids to play with. You'll be surprised how long the bivouac holds together giving hours and hours of fun. Do you have any other cool ideas to add to the list? We'd love to hear them... Comment below!